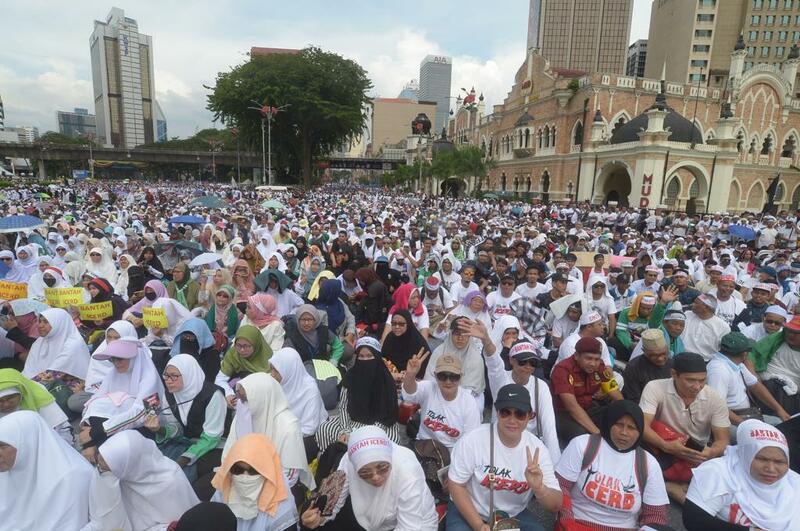 The rally has swelled to a size of 300,000 people by 2pm today. 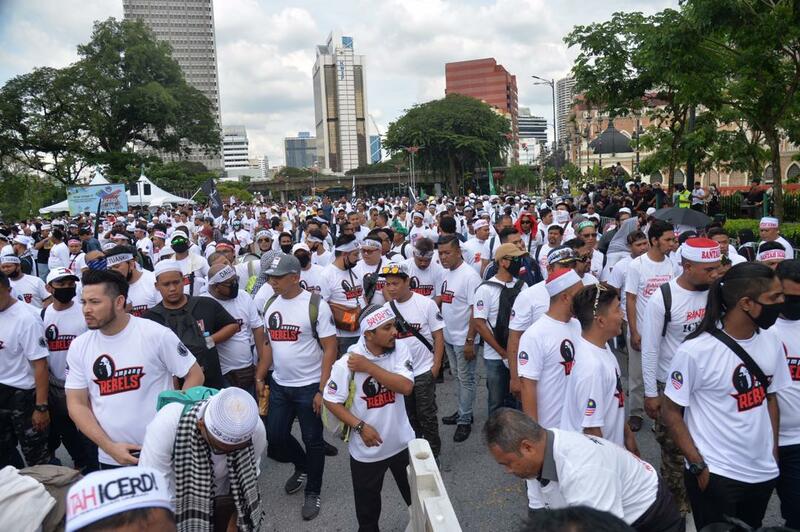 KUALA LUMPUR (Updated 5:13pm): Organisers of the Anti-International Convention on the Elimination of All Forms of Racial Discrimination (ICERD) Rally claim that the size of their rally have swelled up to 300,000 people by 2pm today. 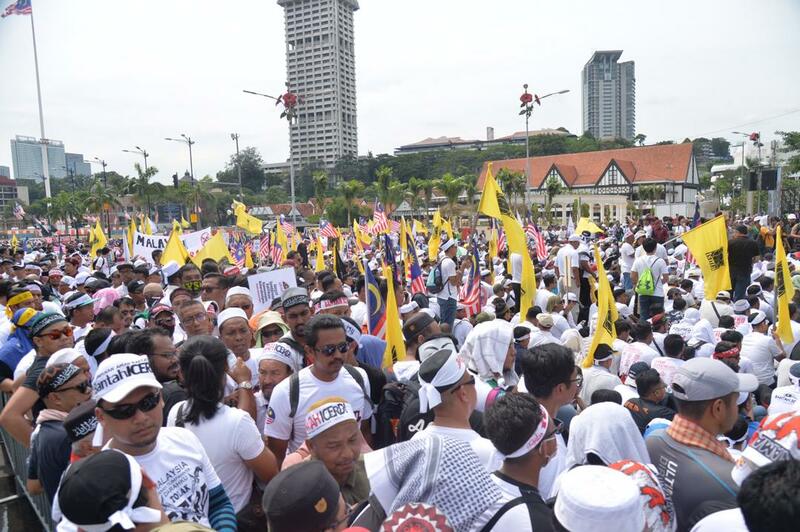 The rally which started at 2pm and scheduled to end at 6pm today is organised by Malay-Muslim NGOs and supported by UMNO and PAS. 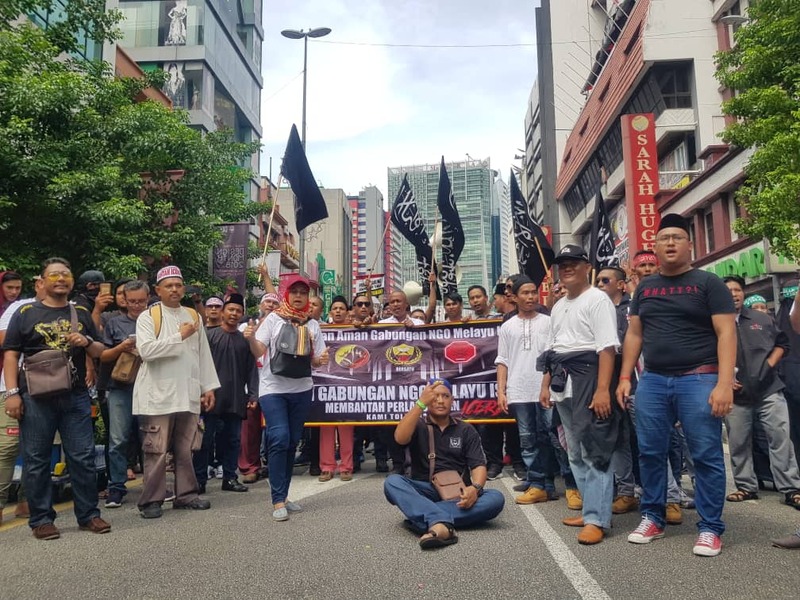 Supporters of the rally gathered at three different locations prior to the rally (Sogo shopping mall, Masjid James and Masjid Negara) before marching towards Dataran Merdeka. 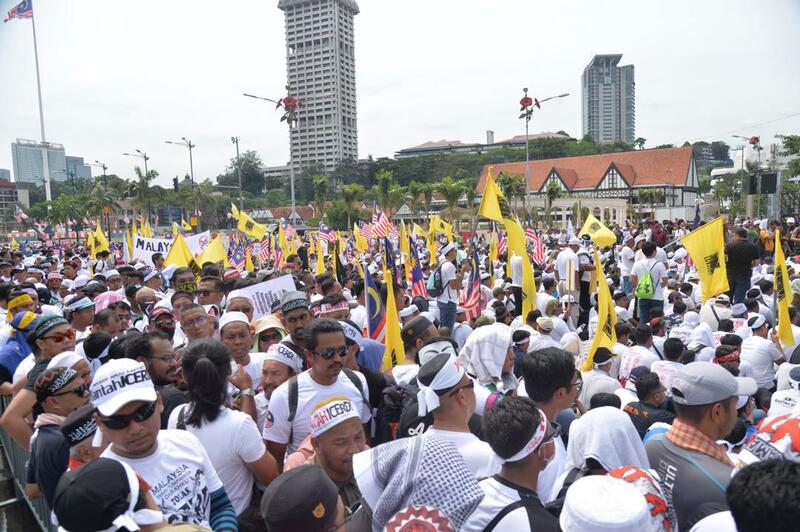 While organisers have claimed numbers have peaked at 300,000, news portal Malaysiakini have reported that numbers are currently peaked at 80,000. 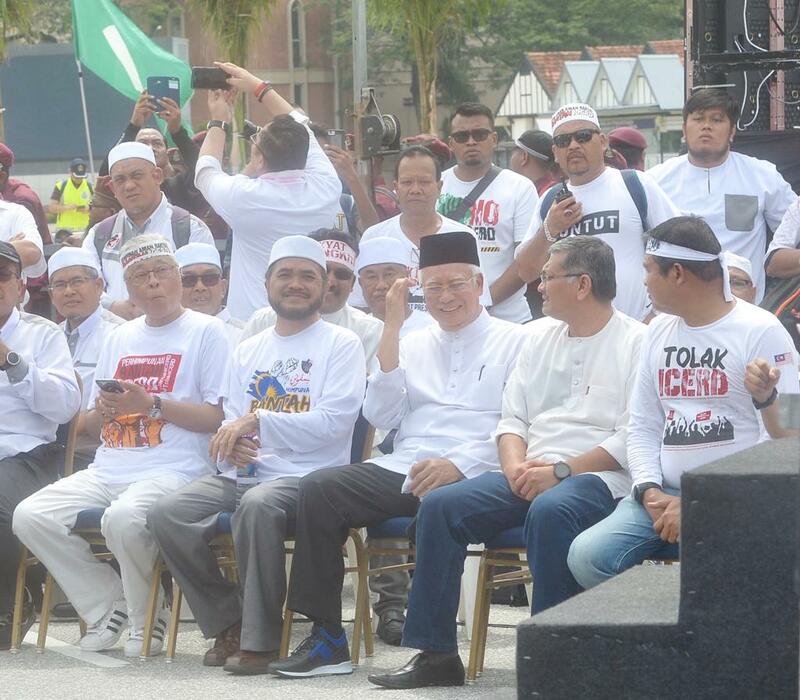 Political parties UMNO and PAS have previously announced that 500,000 of their members would be attending the rally. 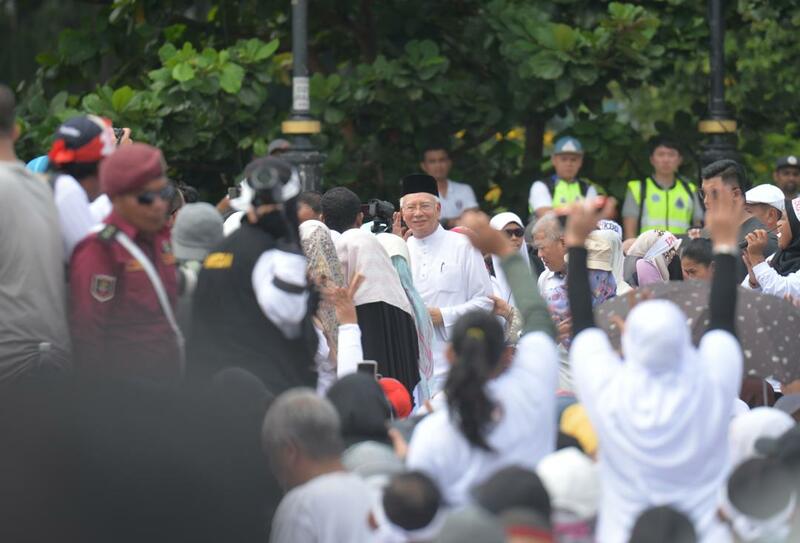 Before the anti-ICERD rally began this afternoon, supporters of the rally who are dressed in white were seen neatly arranged in rows to begin afternoon prayers. 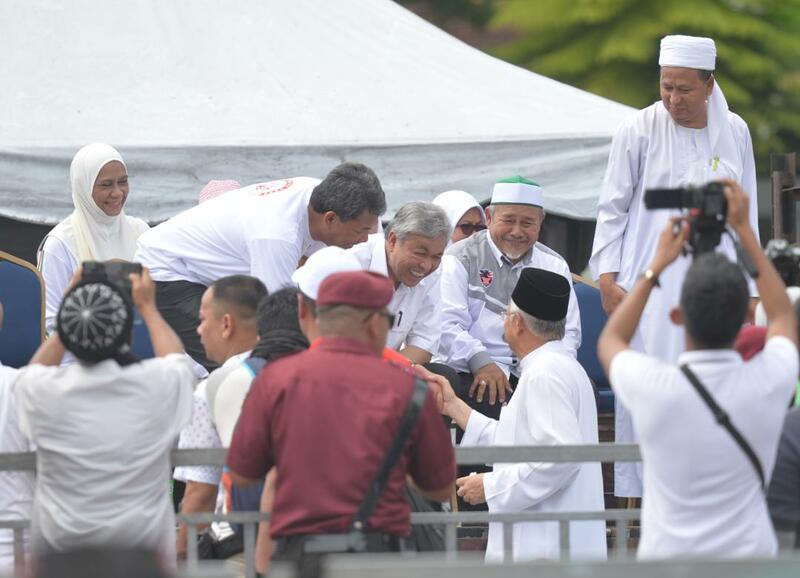 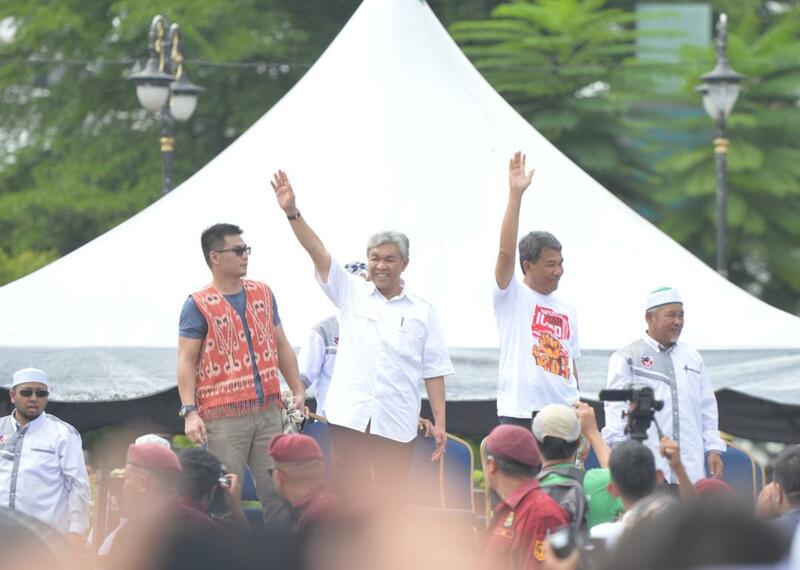 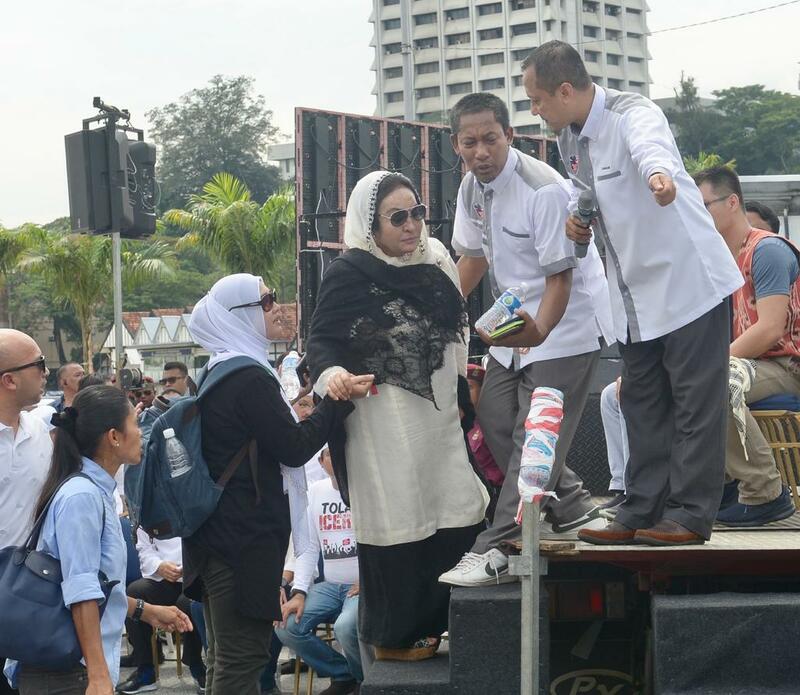 Former Prime Minister Datuk Seri Najib Razak, his wife Datin Seri Rosmah Mansor and other prominent members of UMNO and PAS parties were seen attending the rally. 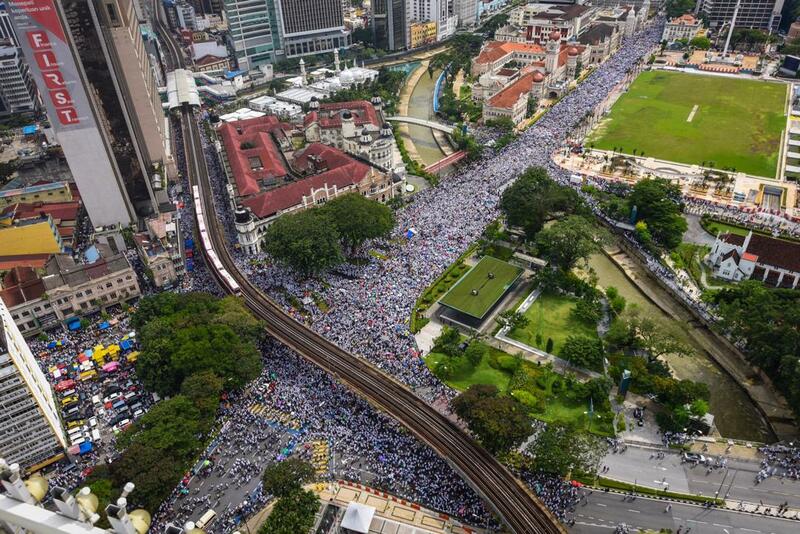 Huge crowds dressed in white were seen making their ways towards Dataran Merdeka. 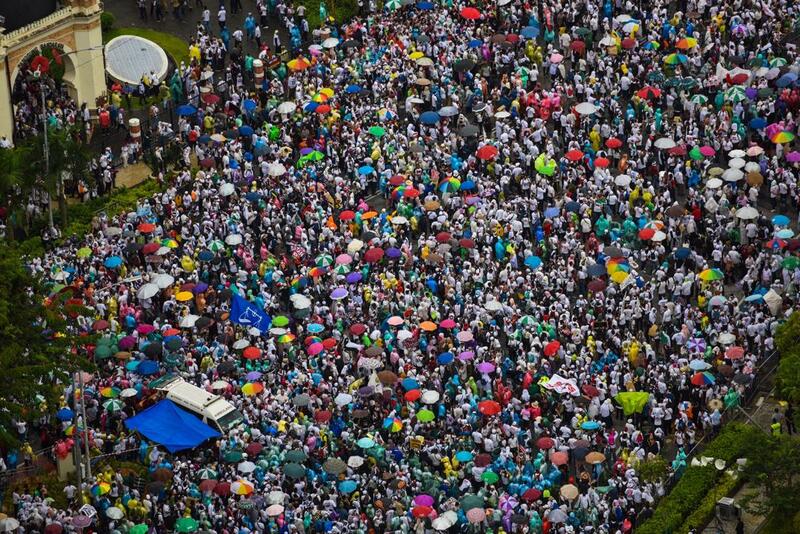 Heavy rain began pouring during the rally and by 4:52pm, organisers officially announced the rally to disperse. 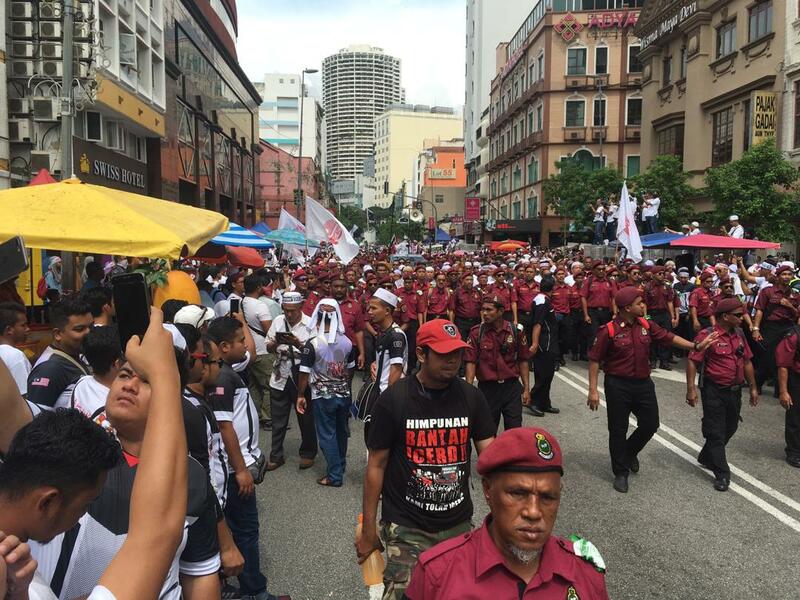 There were fears that the rally would incite racial tensions but organisers have vowed that it would be peaceful. 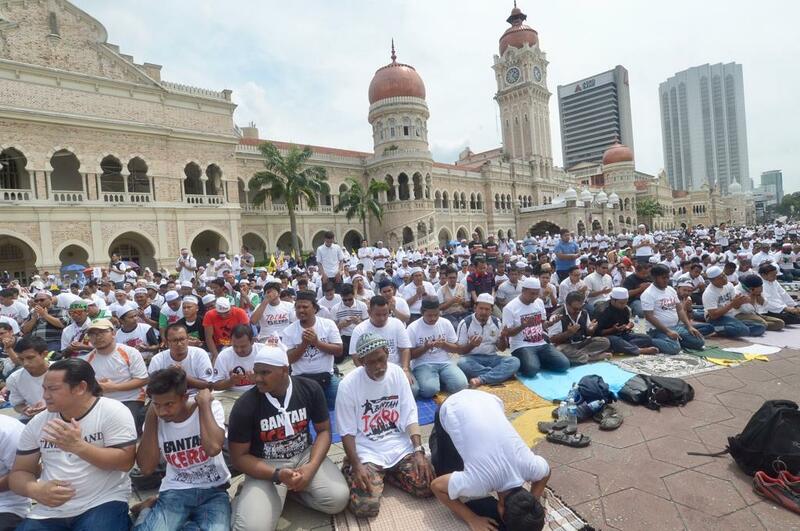 So far, no violent incidents have been reported. 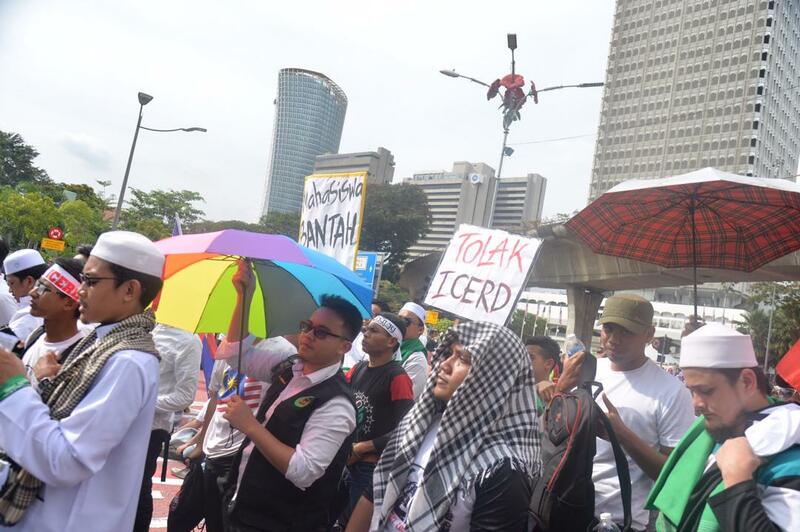 ICERD a United Nations convention, is a third-generation human rights instrument that commits its members to the elimination of all racial discrimination and the promotion of understanding among all races. 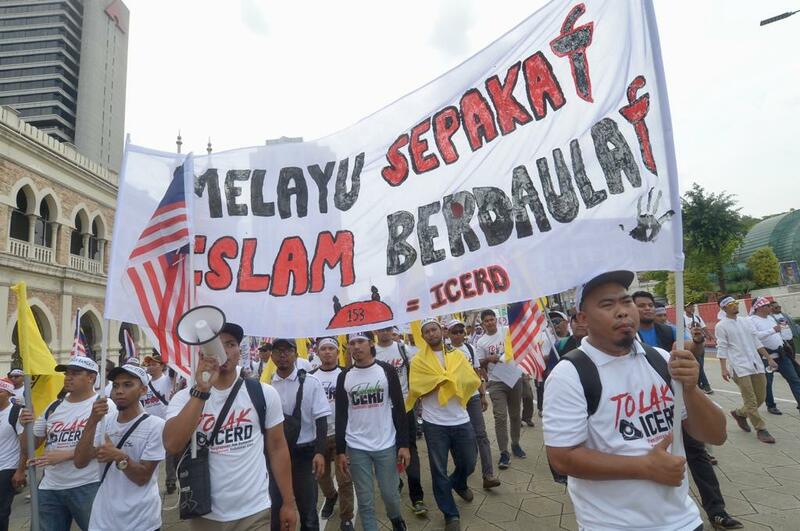 According to the ICERD, the country that ratifies it should eliminate all forms of racial discrimination including the relevant laws. 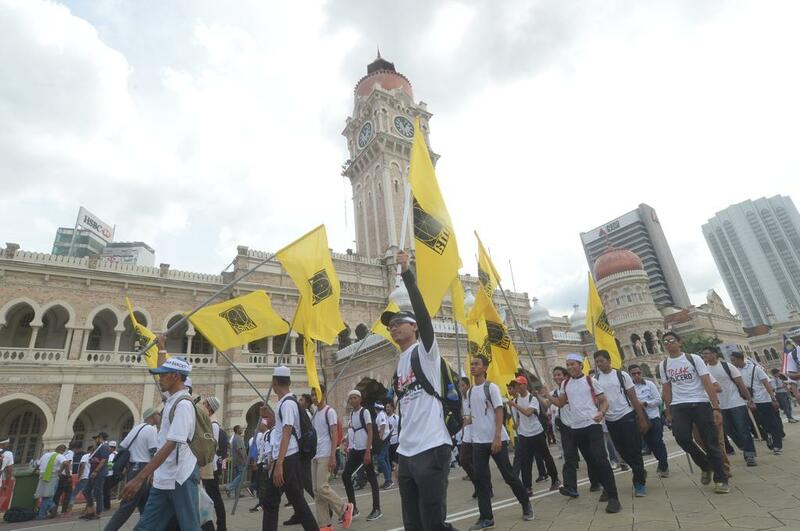 The ICERD issue had elicited various reactions from the people, including ministers, MPs, representatives of NGOs and the general public as the convention’s definition and scope contrast to Article 153 of the Malaysian Constitution which gives special position and privileges to Malays and Bumiputeras in Sabah and Sarawak. 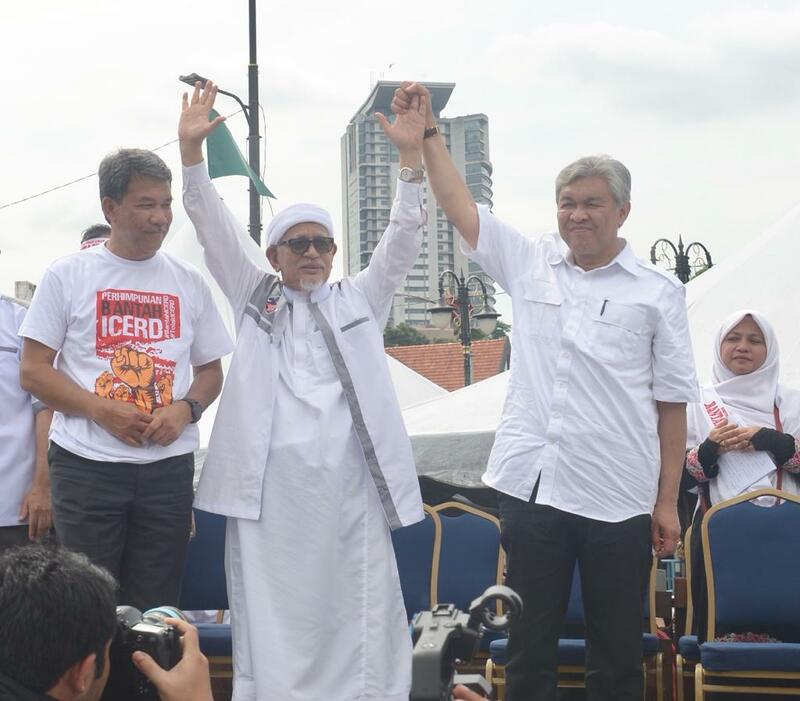 Originally, the rally was organised to oppose the ratification of ICERD but since the announcement made by the federal government that they would not ratify ICERD, the main purpose of the rally today is to celebrate that decision. 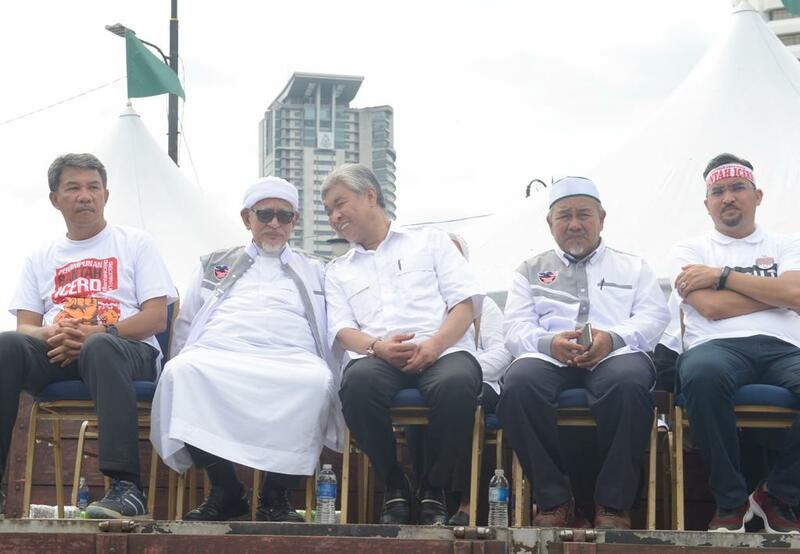 “The government will continue to defend the Federal Constitution in which is enshrined the social contract that was agreed upon by the representatives of all the races during the formation of the country,” the federal government said in a statement.